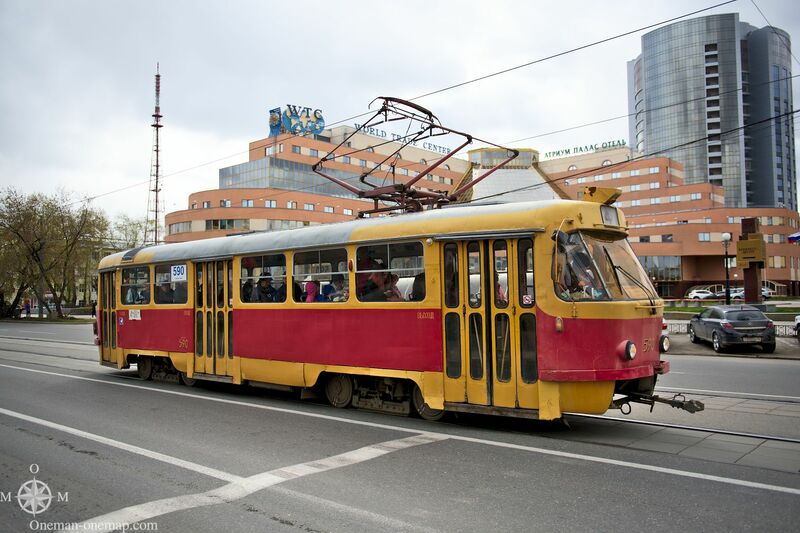 In most cities there is a tight connection between the history of public transport and the history of the city itself. 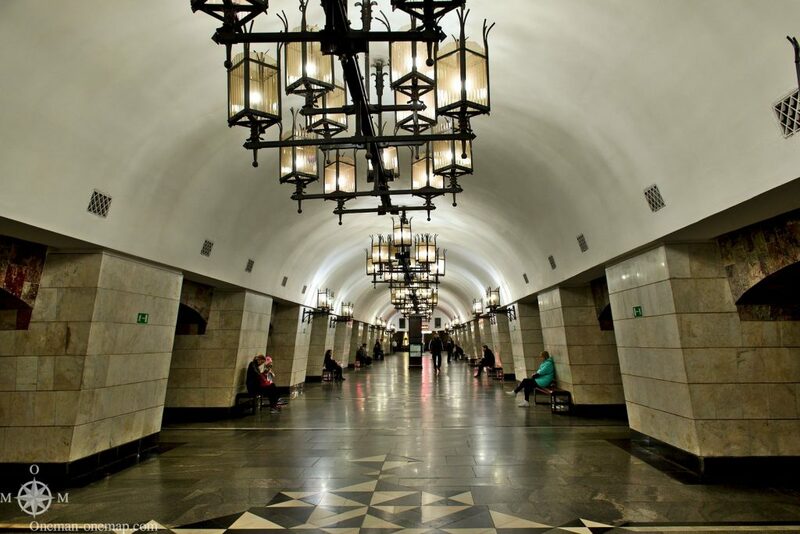 Routes and the names and positions of the stops along them aren’t chosen at random, stops and vehicles could only be built with the technologies at hand, and the interior design of many stations followed the then current architecture and art trends. 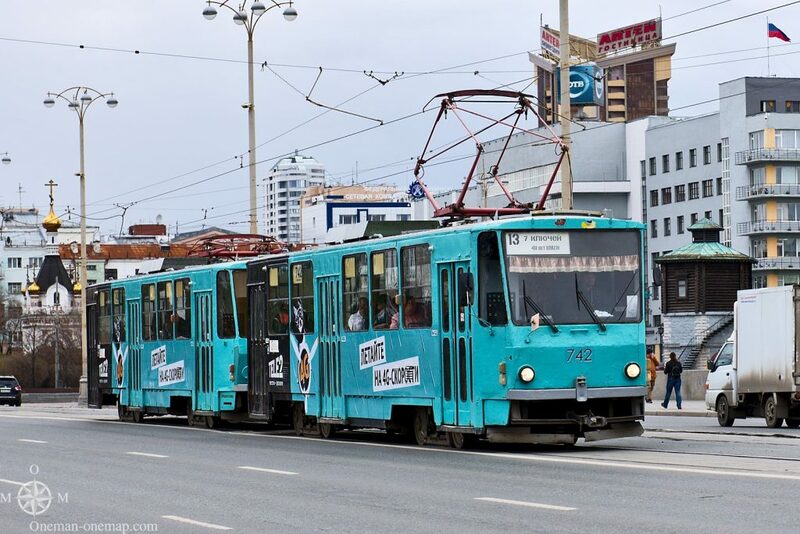 One of the oldest means of transportation in the city is the tram (Екатеринбургский трамвай, Ekaterinburgskii Tramvai) which was first opened in 1929. 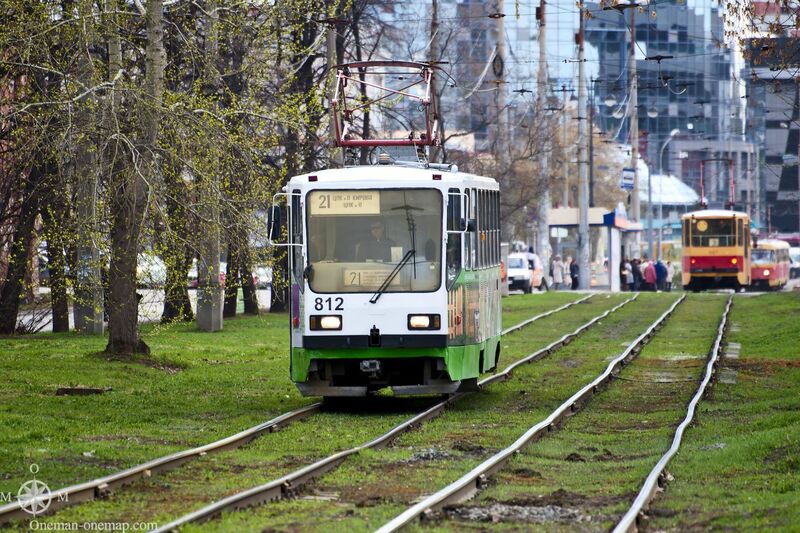 Today there are 29 lines which cover a big part of the city. 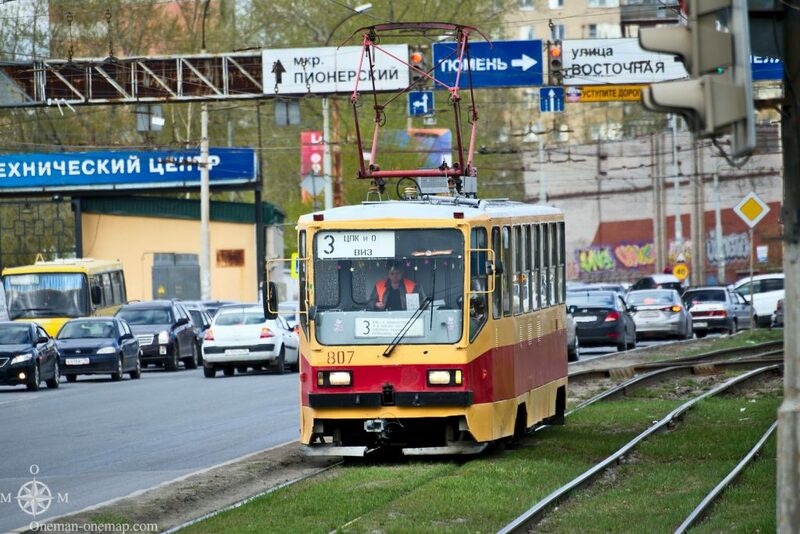 In contrary to many other cities in Russia, the network is still being extended. If there’s enough space, stops have a small bench and roof. 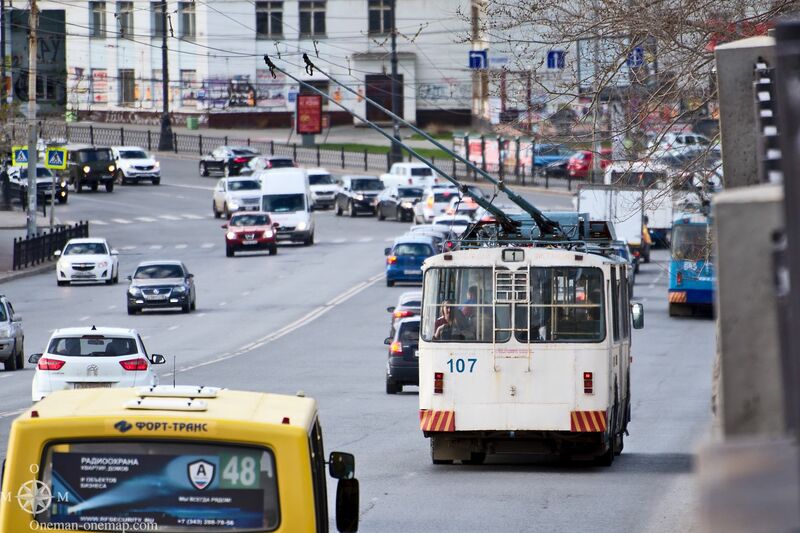 In all other cases the tram just stops near a stop sign, on the street, in the middle of traffic. 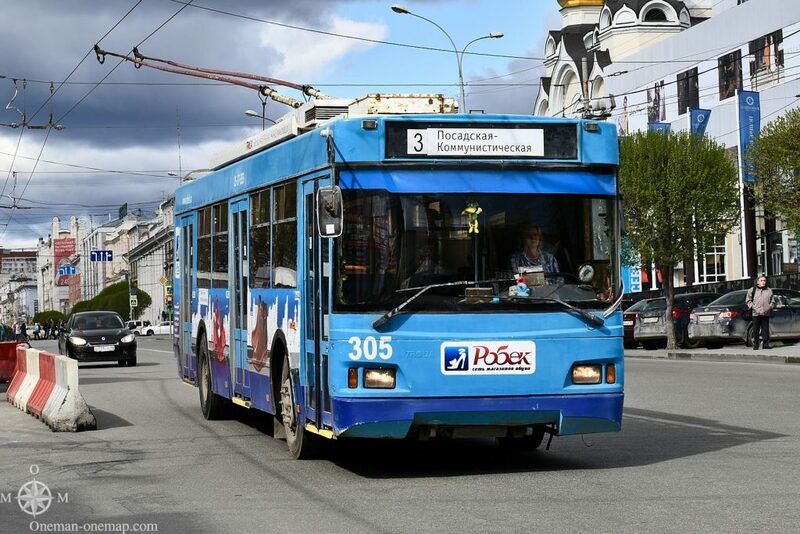 This can easily lead to dangerous situations, on my second evening in Yekaterinburg a car was speeding and nearly hit a mother and child who were getting of the tram! 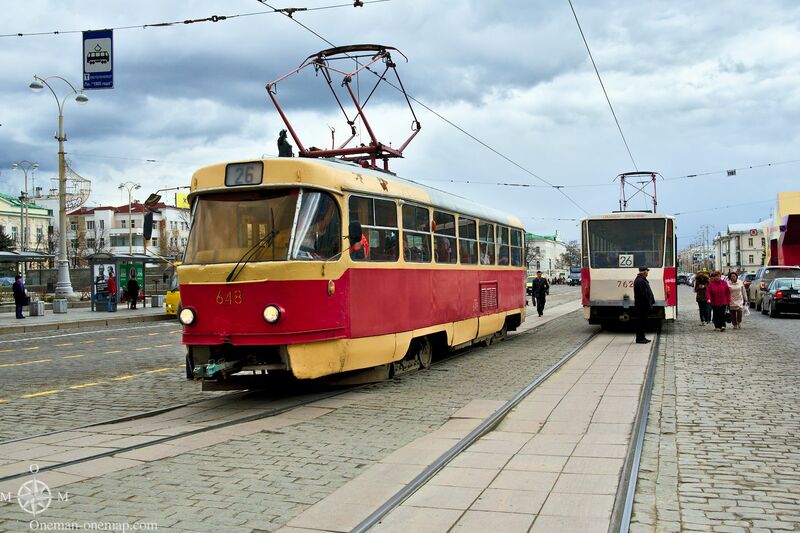 The trams run from about 5 AM to 11 PM on weekdays, but depending on the time of day fewer cars might circulate. If you have to get to the train station early in the morning or want to return to the hotel late at night, make sure to check the timetable. 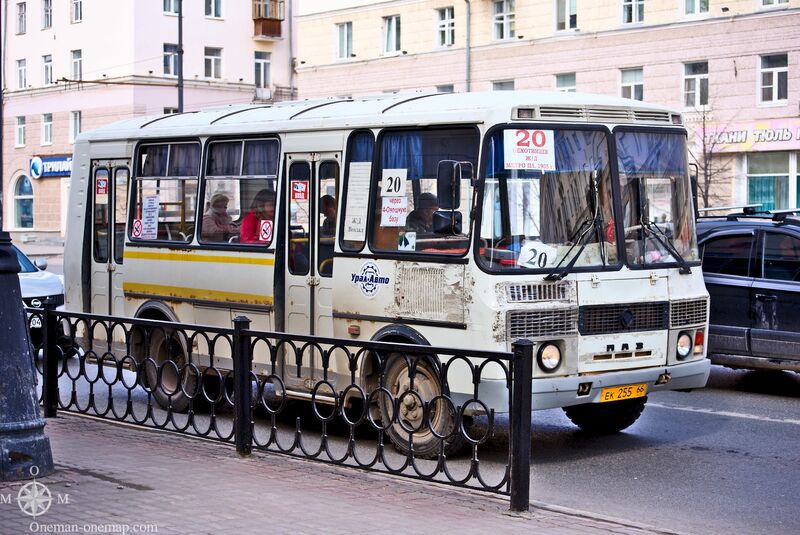 You can pay the conductor in cash (28 rubels per trip, about 50 Euro-Cents) or use the Ekarta prepaid card. The Ekarta also supports daily and monthly passes. Did I just write “conductor”? Yes, conductors ride on all trams and busses. Most of the time it will be an older woman or a young student, easily spotted by wearing a colorful west and holding a big card reader terminal. 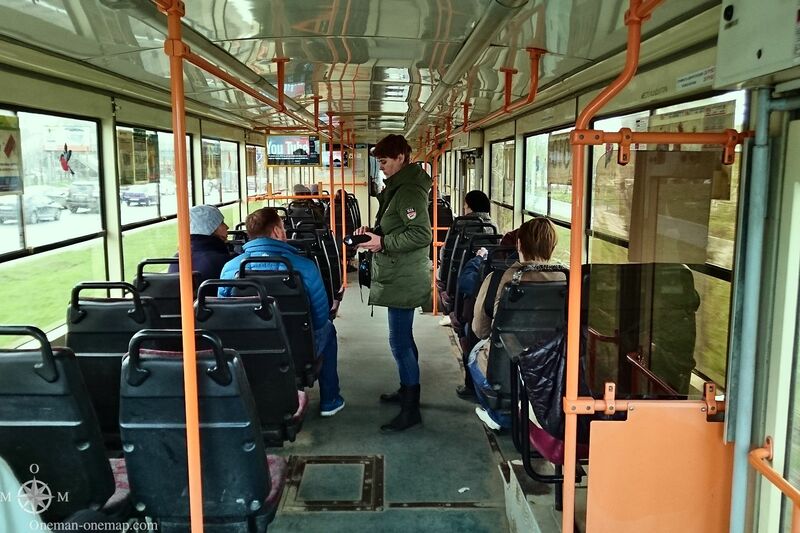 You should pay them immediately after boarding the vehicle and keep the ticket or receipt, inspectors are constantly checking tickets at random all over the network. 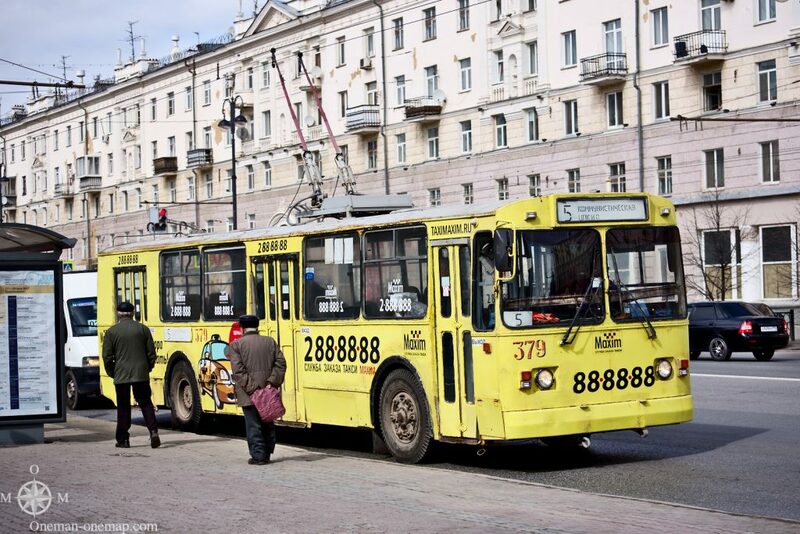 There is also a vast network of bus lines. Many lines in the inner city have been electrified, you will run into the iconic trolley busses at every corner. Lesser used lines and cross-country lines are serviced by a vast number of busses of all sizes, manufacturers and ages. 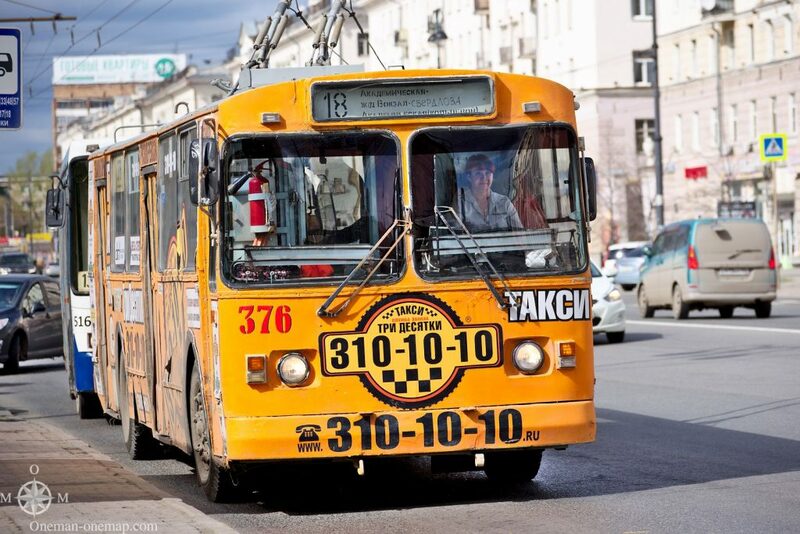 The most infamous one is the Marschrutka (Маршрутка), a privately owned shared taxi which operates on a fixed route and complements the other lines. 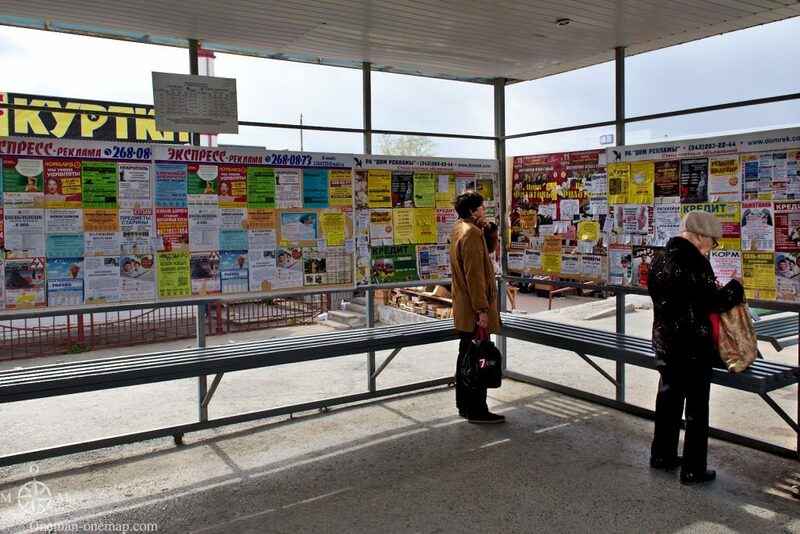 The question “advertising column or bus station?” is sometimes not easily answered. Everything is on offer: consumer electronics, music lessons or help with the application for an European Schengen Visa. My personal highlight was the Metro, though. 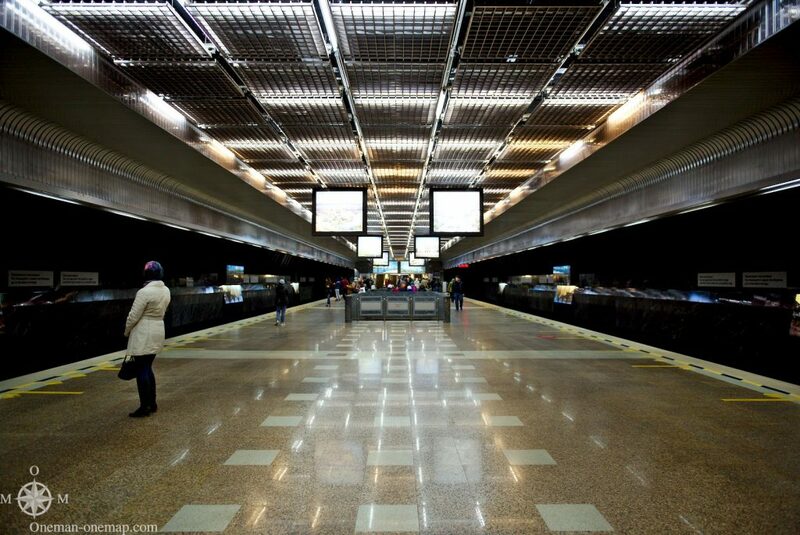 There is only a single line, but it carries 50 million passengers per year and has very impressive stations. In contrary to the Metros in Moscow and St. Petersburg, construction of the Yekaterinburg Metro was only started in the 1980s and the last station wasn’t opened before the year 2012. 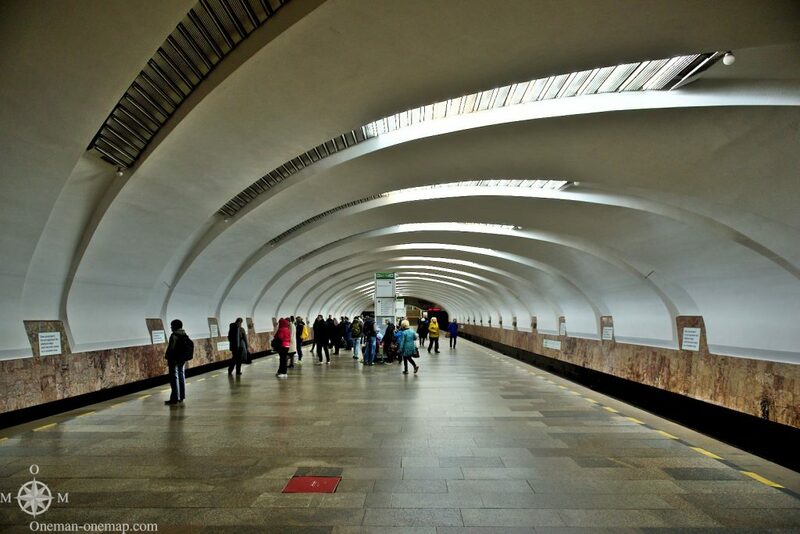 The architects were able to use completely different technologies and could build arbitrarily large stations while giving each one its very own character. 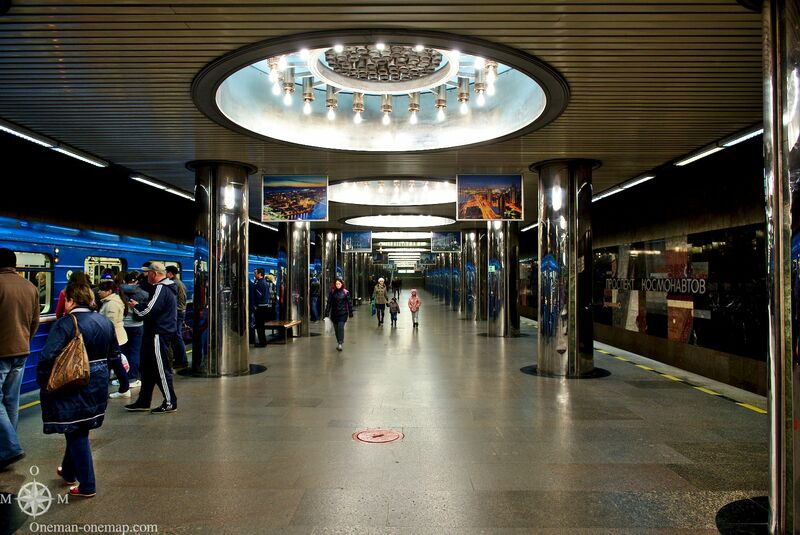 My advice: Buy a single coin for 28 Rubles, leave the train at each station, walk around and then hop on the next train to repeat the same at the next station. During the day a train runs every ten minutes. The station Dinamo (Дина́мо) is located clode to the Dinamo Sports Complex and the DIVS arena (the second largest arena in the city). 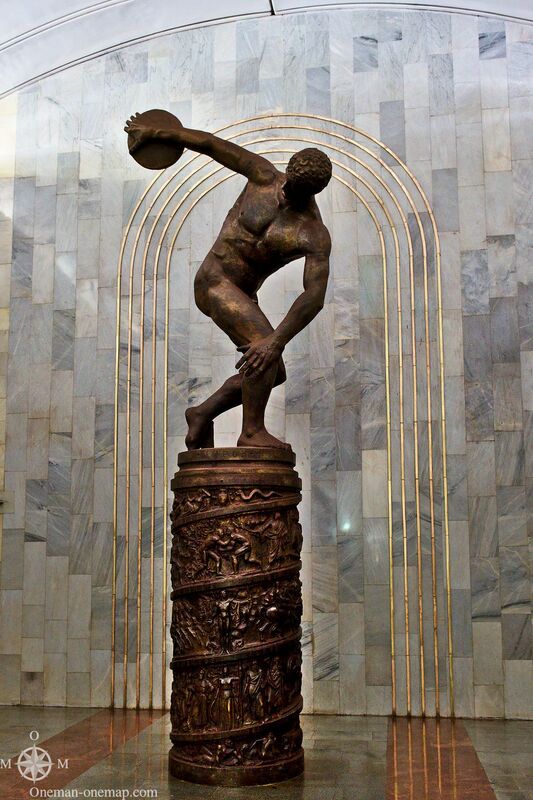 It is lined with finest marble, at one of the ends there is a statue of a discus thrower. 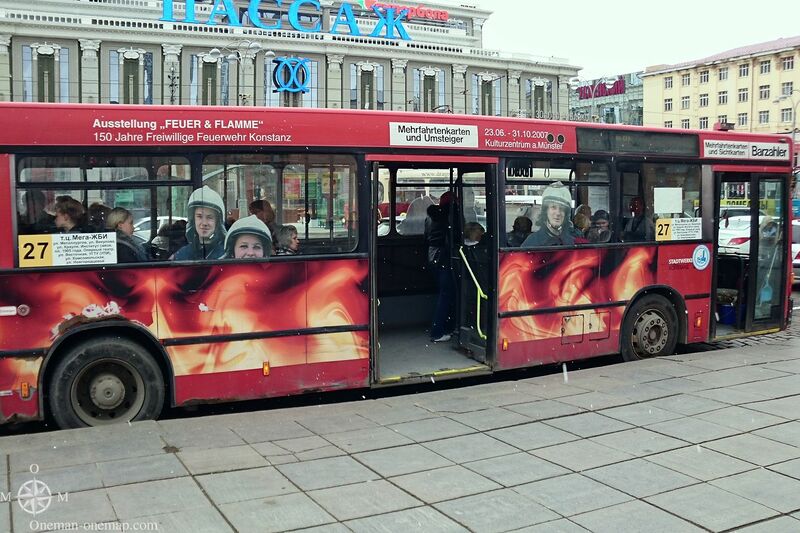 The station Geologitscheskaja (Геологи́ческая) is close to the circus and the TV tower. It is probably the most boring station of all. Maschinostroitelei (Машинострои́телей) is located at the giant industrial area behind the main train station. If I had been an engineer in the eighties, I probably would have loved walking through this station on ym way to work every morning! The station Ploschtschad 1905 goda (Пло́щадь 1905 го́да) at the Square Of The Year 1905 is a sight on its own. It feels like being in a strange, giant palace. 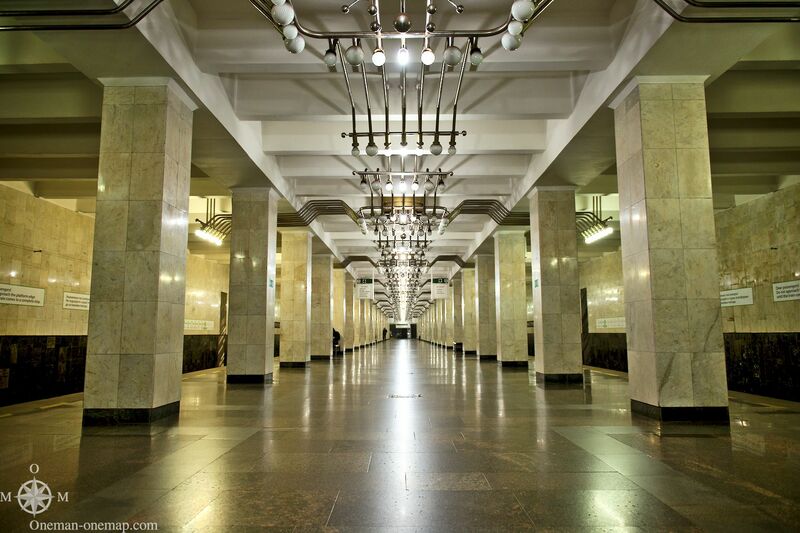 I was very impressed by the sheer size of the Uralmasch (Уралма́ш) station, and especially the lighting. It looked a bit like modern art. The station is located close to the former Uralmasch machine production facility. It used to build tanks and other weapon systems, nowadays it is part of the ONZ corporation owned by Oligarch Wladimir Olegowitsch Potanin and one of the biggest steel plants in the country. 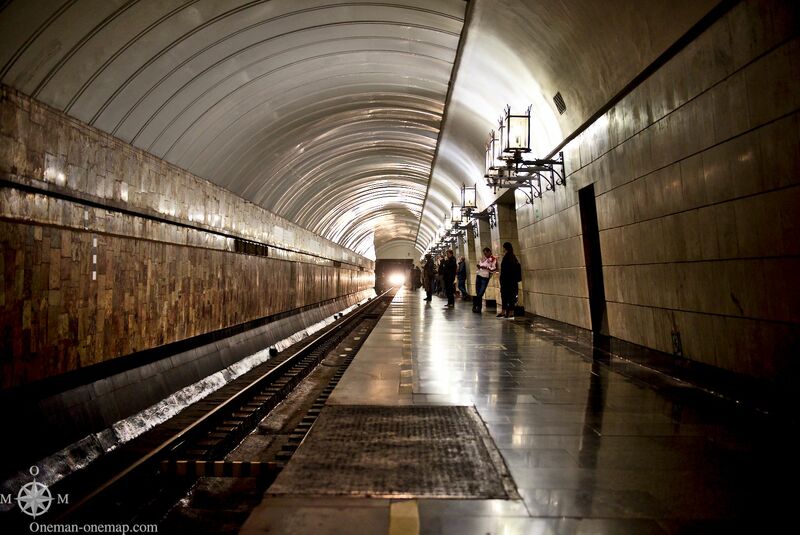 The deepest station on the line is Uralskaja (Ура́льская) at a depth of 42 meters. 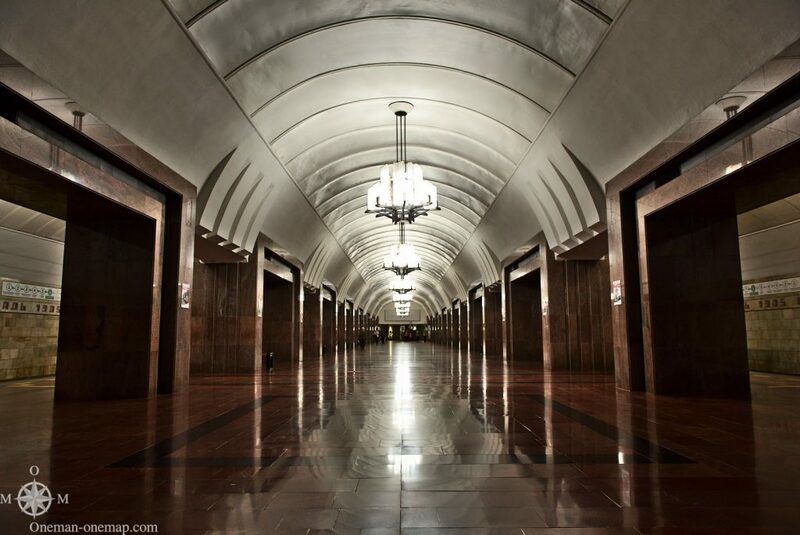 The floor and the walls are lined with white and gray marble, lamps made of forged iron illuminate the ceiling. 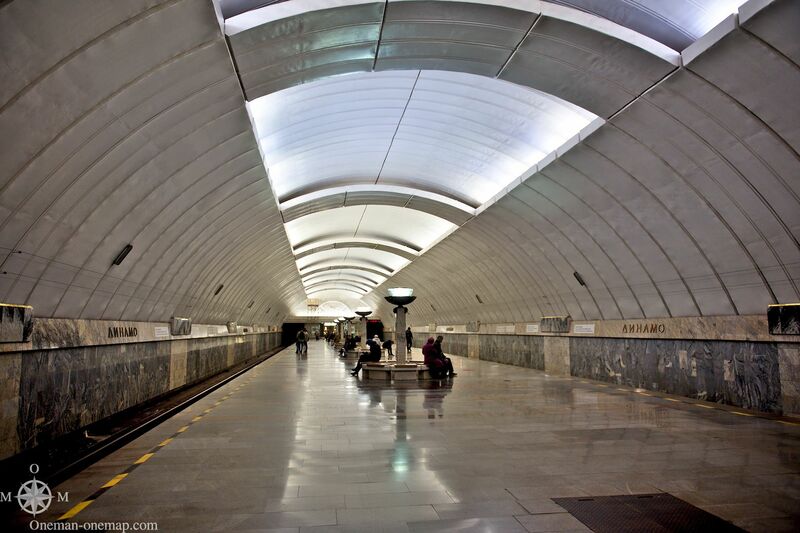 The same type of white marble has also been used for other well-known-sights, e.g. the Cathedral of Christ the Saviour in Moscow.